Solar Panel: Absorbs the energy from the sun and converts it to electrical power. Battery: The solar panels are wired directly to a re-chargeable battery that stores the electricity to be used by the light. Lights: With COB LEDS, which are smaller, brighter and last longer than incandescent bulbs. 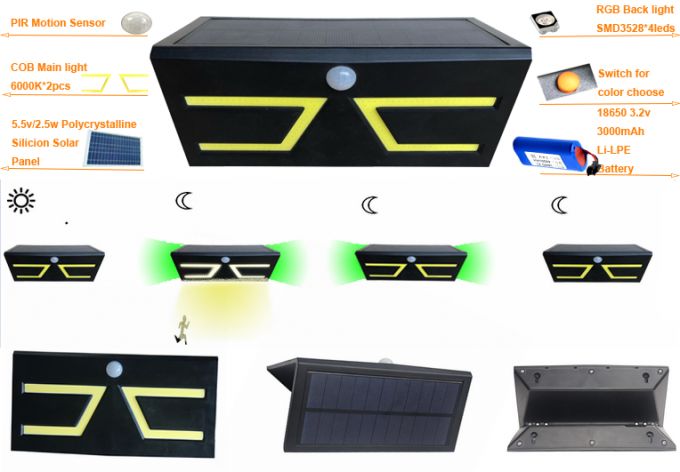 How the Solar Motion Lighting Working? Essentially, you hang them up around the outside of your house where they absorb sunlight during the day and convert it into energy that can be used to power LED lights at night. As for the motion part, they come with Passive Infra-Red (PIR) sensors which are configured to automatically light up when they detect any infra-red heat motion within their sensor range (and they automatically switch on at dusk and off at dawn). If there is no more movement detected for a certain period of time, they switch off of their own accord. 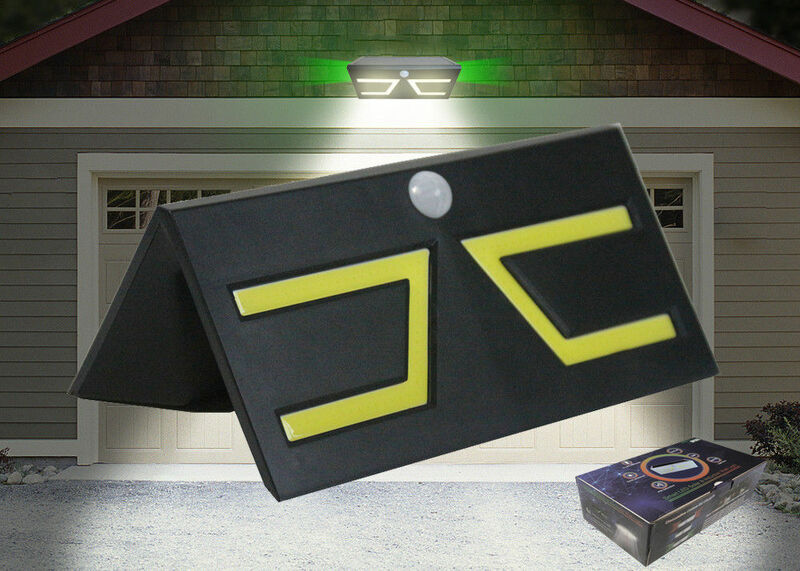 The Advantages of the Solar Wall Lights?